standstill for two hours, die-hard fans and bandwagon jumpers alike glued to the American's game against Germany. Never mind that it was the middle of the workday. Companies rolled TVs into conference rooms and ordered in lunch. Fans from one coast to the other packed parks, squares, streets and bars -- anywhere with a screen and a signal. For the first time, the USA finally - and fully is a soccer nation. Cue to this blogger rolling his eyes in mocking disbelief. But aren't young kids taking up the game? Indeed they are and understandably so. Soccer is a great participatory game. 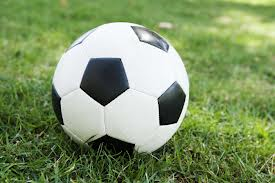 Soccer doesn't cost much to play, scores of kids without extraordinary physical gifts can play the sport, and it is terrific exercise for kids who might otherwise spend their recreational lives playing on electronic gadgets. Soccer is a great participatory sport, but the notion that it is going to become a great spectator sport, with millions of Americans regularly tuning in to be thrilled by 1-0 games, well that's not going to happen. I have 35 years of experience that tells me that. What does soccer have to do with the Libertarian Party Well, for as long as I've heard that soccer is going to become a great American spectator sport, I've been told that dissatisfaction with the Republican and Democratic politicians will cause Americans to embrace the nation's third biggest political party, the Libertarian Party. I hear it every election and it never happens. The Libertarians are no closer to electing people utilizing the third party strategy today than they were back in my early years of college. That's not to say Libertarians don't bring good ideas to the table and espouse a philosophy worthy of adoption. It's just that crafty Democratic and Republican politicians have learned that the minute a Third Party starts attracting converts based on the new party's ideas, the major parties begin adopting those ideas. Republicans, in particular, are increasingly co-opting the Libertarian message and as a libertarian Republican I'm thankful for that. 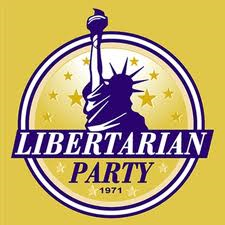 So will this be the year when the voters finally elevate the Libertarian Party to major party status? Sure it will be, just like this will be the year that Americans finally recognize soccer as a great spectator sport, right up there with Americans love for football, baseball and basketball. Again, cue my eyes rolling. Well, enough lip service is co-opted by the major parties. You can't tell me you're satisfied with the direction of the GOP locally, at the state level, or nationally thanks to the incorporation (*cough*) and implementation (bwaaahaha!) of libertarian ideas by the GOP. You roll your eyes, I guffaw. We continue to move in a statist direction. If the Libertarian Party were a libertarian party, it might be worth a vote. But election after election it fields candidates who avoid controvery, exhibit little understanding of libertarian principles, and even state views that are positively anti-libertarian. Just the other other day I met a self-described Hoosier libertarian of some notoriety who will speak to (or has spoken to, I can’t remember which) both the state party and the National LP. She had posted a statement supporting the coercive prevention of reproduction by people with low IQs. That is, she stated her support for the same shameful eugenics that many Americans supported last century that motivated Germany’s national socialists. She went ballistic when I dared question her about it. She is a cultural activist, I think she called herself, and therefore immune from criticism or challenge. Mike Kole remains one of my favorite examples of the LP candidate who runs without espousing any libertarian views. When he ran for for Secretary of State he proposed a mishmash of good government blather meant to offend no one. He’s against the “move in a statist direction”? Then why didn’t he mention that when he ran for state office? When we clashed swords a decade ago Mike declared, "The best answer I can give is that I am not interested in the question of who is or isn't a phony libertarian.” Indeed. His response to my criticism of the Indiana LP was, "Your attempt to cause dissention within our ranks is not appreciated. “ Anyone with a libertarian spine welcomes dissent and debate, which at least causes one to refine one’s beliefs. LP honchos are more the circle the wagons type. The national LP used to have a fine platform, though even early candidates mostly ignored it. But that platform was eviscerated years ago. The first thing one notices when encountering almost any person who votes LP is how little they have read and shallow their views are. It’s no accident that centrist-liberal newspaper editors often speak respectfully of LP candidates, which few did of Ron Paul. Paul actually articulated a fairly principled libertarianism in his campaign, in stark contrast to the muddled effluvia espoused by LP candidates. I watched as much as I could bear of Rupert Boneham’s feeble campaign, wherein he stated his support for statist policies and, to my notice, stated no firm libertarian position on any controversial topic. War on drugs? Getting kids out of lousy public schools? Don’t think so. I’m sure Rupert got Kole’s vote, nonetheless, and the votes of the LP know-nothinging who imagine themselves libertarians. LP candidates run so they can retain automatic ballot status so they can run again. It is a political perpetual motion scam controlled by opportunists. The libertarian movement would be far better off without the LP confusing people into thinking that libertarianism is a better version of the pro-market, small government platitudes Republicans have been spouting for generations with just as much sincerity.